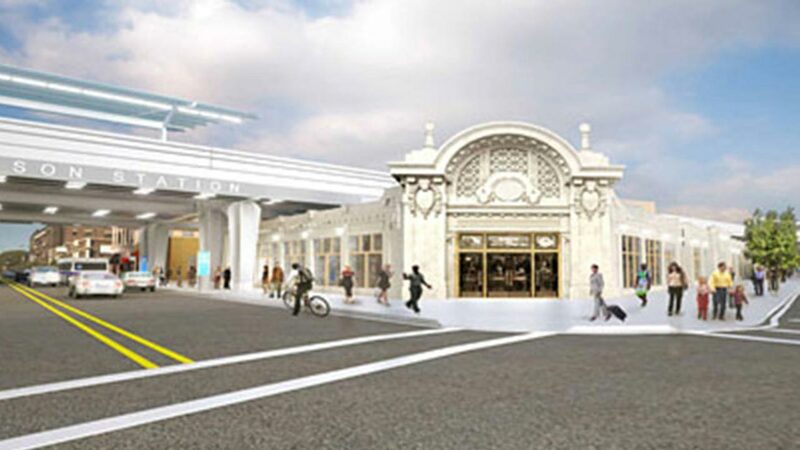 CHICAGO (WLS) -- The CTA is looking for a tenant for its new Wilson Station along the Red Line. Friday, the agency kicked off its search for a developer or a retailer to lease its station at the historic Gerber building. That site is being restored to its original 1923 appearance as part of a $203 million project. "The Wilson Station reconstruction is creating a modern, 21st century transit station in the heart of Uptown," said CTA President Dorval R. Carter Jr. "With the restoration of the Gerber Building, our goal is to create a new anchor for economic development in the neighborhood." The restoration includes rehabbing and cleaning of terra cotta masonry, and new storefronts, doors, and exterior lighting consistent with the building's historical character. The building will have approximately 13,200 square feet of interior space available for lease. The entire project will be completed by the end of 2017 and available for lease in beginning in January of 2018. For more information on the project, visit http://www.transitchicago.com/wilson/ and to download the request for proposals for leasing the Gerber Building, visit www.ctarealestate.com.